You may not have heard of the wine glass holder lanyards but the personal wine glass holder necklace in daily life is also very practical and has become popular. The material of the personal wine glass holder necklace is very strong, and the appearance and color of the custom wine glass lanyards can be a decided by you. You don't have to worry about that the custom wine glass holder necklace break up suddenly, this is unlikely to happen. 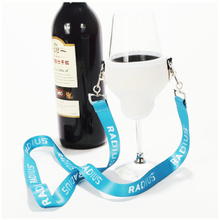 If you are interested in wholesale wine glass lanyards, you can contact us. 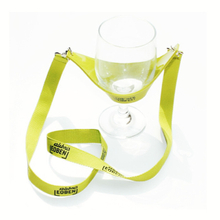 We provide variety kinds of custom wine glass lanyards for you. We hope to become the best custom wine glass lanyards manufacturer and we need your support.